Clothbound, 11.25 x 9.25 in. / 80 pgs / 33 duotone. In August of 1974, the photographer Nicholas Nixon made a group portrait of his wife, Bebe, and her three sisters, Heather, Mimi and Laurie--the Brown sisters. He did not keep that image, but in 1975 he made another portrait of the four, who then ranged in age between 15 and 25. Working with an 8x10-inch view camera, whose large negatives capture a wealth of detail and a luscious continuity of tone, Nixon did the same in 1976, and this second successful photograph prompted him to suggest to the sisters that they assemble for another portrait every year. The women agreed, and have continued to agree every year since. 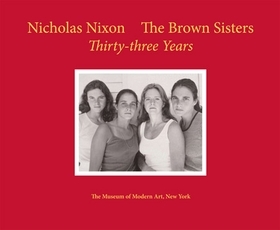 In 1999, when the resulting series of photographs reached its twenty-fifth anniversary, The Museum of Modern Art published The Brown Sisters, presenting all of the portraits in sequence. That edition is out of print. 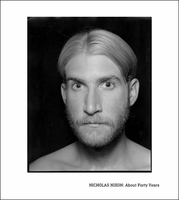 Now, as the family's "annual rite of passage," as Nixon has called it, hits year 33--a third of a century--the Museum is publishing a second edition, including eight new photographs that bring the series up to date. "We might wish," writes Peter Galassi, the Museum's Chief Curator of Photography, "that our family included a photographer of such discipline and skill…but otherwise Nixon's pictures do what all family photographs do: they fix a presence and mark the passage of time, graciously declining to expound or explain." FORMAT: Clothbound, 11.25 x 9.25 in. / 80 pgs / 33 duotone.